Here at Cornerstone, we know that Christmas can be an expensive time of year so this year you can enjoy discounted tickets to our festive family treat, simply by booking early. If you book before the end of September, you can save 10% on the ticket price. * Just quote EARLYPIPER Join us this Christmas for a classic festive show for the entire family. A mysterious traveller from another time and place finds a town in trouble. But will the town accept this magical stranger? And does the perfect Christmas come at a cost? 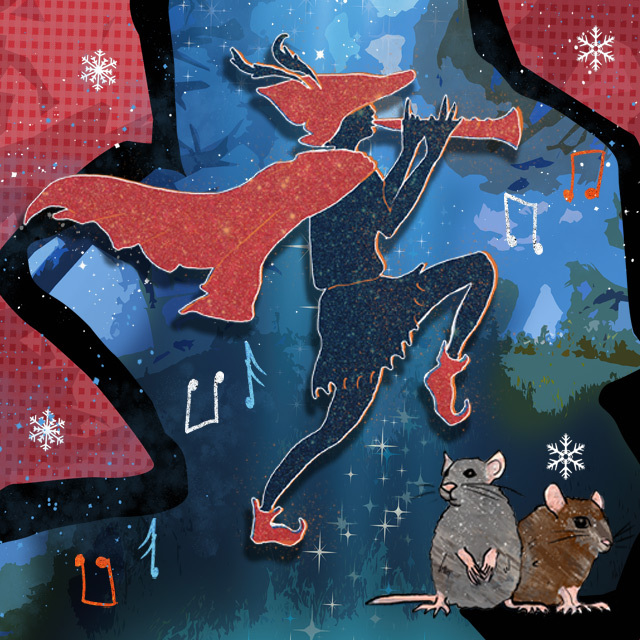 Join us on an adventure about playing to your own tune, as the world of The Pied Piper is vividly brought to life with new songs and music, performed live by actor musicians supported by a talented young ensemble from the local community. Brought to you by the same team that created last year's hit, The Nutcracker and the Mouse King.